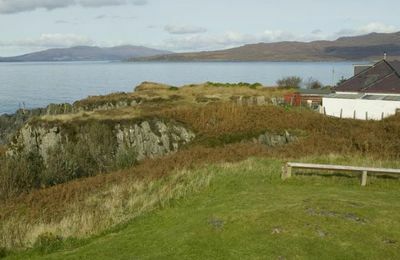 Mallaig is at the end of the Road to the Isles, about 42 miles west of Fort William. 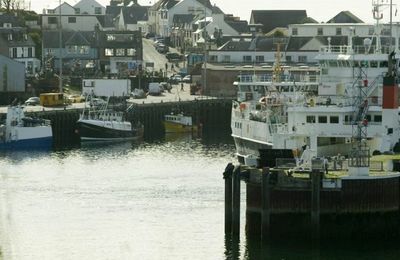 Once the largest herring port in Europe, Mallaig is still a busy place with Caledonian MacBrayne Ferries arriving and departing for the Isle of Skye and the Small Isles. Local fishing boats unload white fish as well as crab, lobsters and prawns, with some destined for Spain and local restaurants. Mallaig is also the end of the West Highand Line - the railway from Fort William was opened over a hundred years ago and today provides important communication links with all main towns and cities including London. In summer, a steam locomotive attracts thousands of enthusiasts and day trippers. 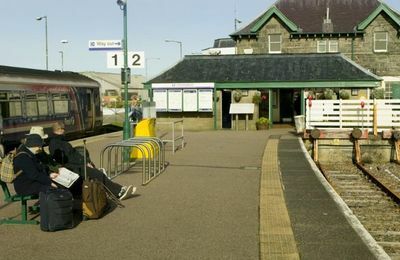 The scheduled diesel train makes the Mallaig - Fort William journey each day. 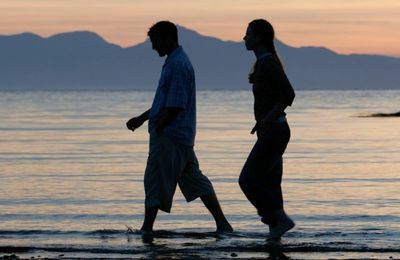 Located on the Atlantic Ocean coast, Mallaig is a great location for stunning seascapes - stormy and tranquil - just depends on the day when you visit. 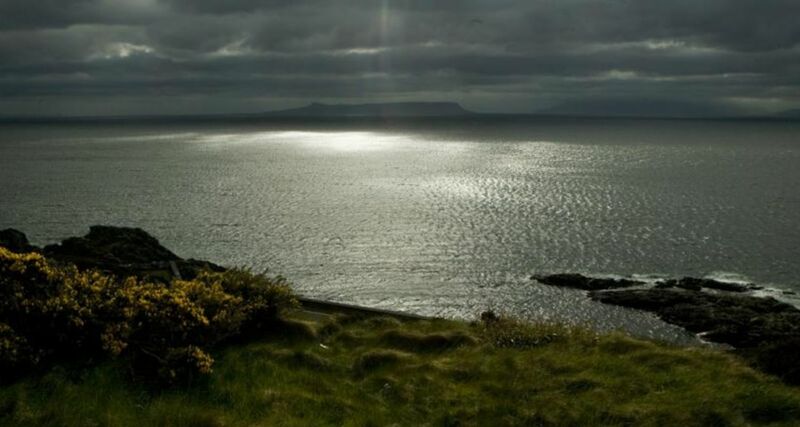 The islands of Eigg and Rum are 10-14 miles offshore and dominate the horizon. 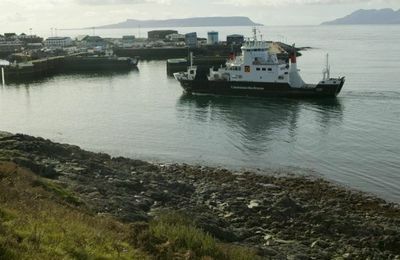 When the Calmac ferry returns from Armadale on Skye, the rugged Cuillin Ridge and Sound of Sleat coastline can be seen in the background. 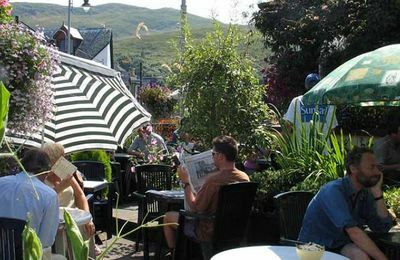 Mallaig has several hotels, guesthouses, B & Bs and bunkhouse accommodation, as well as one of the best fish n' chip shops. 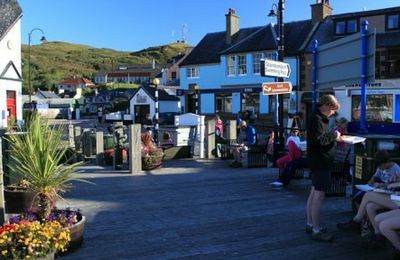 There is a Fisherman's Mission, Mallaig Heritage Centre and West Highland College UHI has a great learning facility and provides all sorts of further education courses. 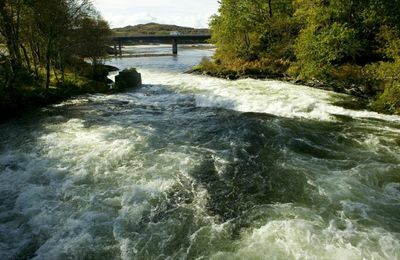 Mallaig has a fantastic swimming pool and a modern, comprehensive High School. 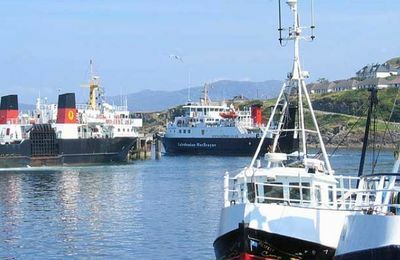 From Mallaig boat trips and sea-fishing trips can be arranged. 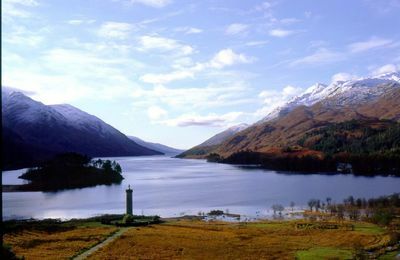 One boat travels into Loch Nevis, a long sea loch with a bustling community on its shores at Inverie, Knoydart. Inverie is home to The Old Forge the most remote pub on the UK mainland. 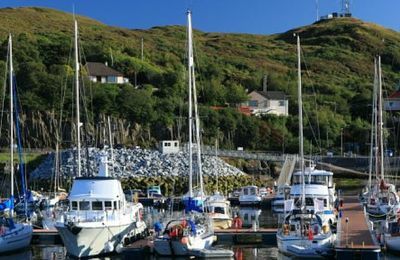 Mallaig Harbour and marina provide world class facilities for visiting yachts and working boats large and small. Mallaig has its own boat yard too. watching the day go bye..